Different restrictions were imposed on each of the three additions, depending on the threat they were deemed to pose. For example, for Venezuela the ban applies only to visits by certain government officials and their families, while Somalis are barred from emigrating to the United States but not from visiting. The addition of Chad to Mr. Trump’s travel ban took that country’s government by surprise and bewildered analysts of Central Africa. With a mixed population of Muslims and Christians, Chad has been a longtime American ally in fighting Islamist militants in the region, including offshoots of Al Qaeda and Boko Haram, and its troops took part in a French-led effort to root out Islamist militants from parts of Mali in 2013. Experts said there were many steps Chad could take in response that would have a negative impact on the United States, including reducing security protection for employees of the large American embassy. Also at stake are oil exploration plans from companies like Exxon Mobil. Human rights activists also expressed outrage. “This makes no sense at all, even from a Trumpian standpoint,” said Reed Brody, a lawyer for Human Rights Watch who has worked extensively in Chad. 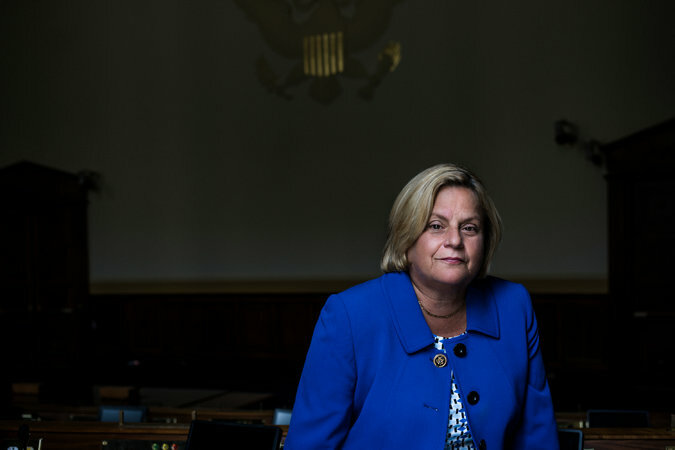 Representative Ileana Ros-Lehtinen, a Florida Republican, said she supported the inclusion of Venezuela in the new policy. Mr. Murray said he viewed the administration’s broad travel policies as the best way to prevent attacks like the Boston Marathon bombing in 2013, which was carried out by two beneficiaries of the asylum system. “When you’re talking about the movement of people across national borders, I don’t know how specific you want to be,” he said. Somali-Americans in the Cedar-Riverside area of Minneapolis processed the news of the travel ban as they went about their business in the rain on Monday, voicing wariness of an administration that has frightened them from the start and trying to learn more about the details of the ban. Slma Osman, 29, said she had just put her three toddlers to bed Sunday evening when she heard about the travel ban on television, and the news made her cry. She emigrated from Somalia a year ago to join her husband, and the new ban seemed to scotch her dream of bringing her parents over to unite with her children. Mr. Hassen did not dispute President Trump’s claim that Somalia’s immigration officials do not adequately vet extremists. Some Somali-Americans from the Twin Cities have been recruited by Islamic extremist groups abroad, but Mr. Hassen said it was unfair that all Somalis must pay a price. “We are getting punished for what they did,” he said. The Somali minister of information, Abdirahman O. Osman, said in a statement that Somalia was grateful for American assistance and support in reducing the threat posed by terrorists, and that American policy should focus on the terrorists, not on ordinary Somalis. 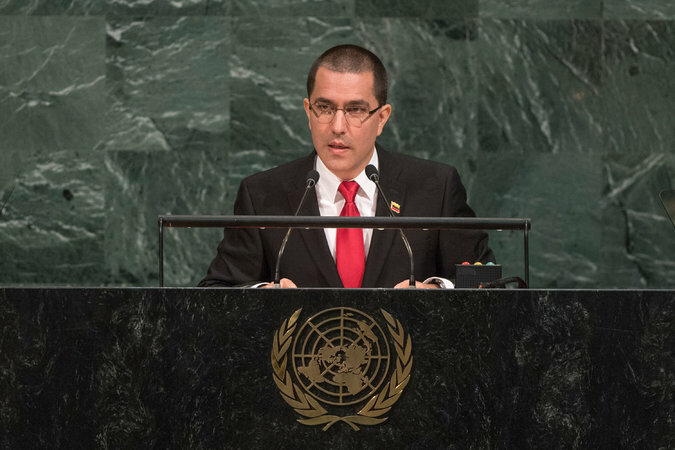 Foreign Minister Jorge Arreaza of Venezuela lashed out at President Trump in a speech at the United Nations on Monday. Venezuela’s foreign ministry blasted the travel ban on Monday as an “irrational decision” that “constituted a form of political and psychological terrorism,” and asserted that the United States was trying to “stigmatize our country using the pretext of the fight against terrorism.” Venezuela also said that it would consider retaliating. But the travel ban, which would bar business and tourism visits to the United States by “certain Venezuelan government officials and their immediate family members,” drew the opposite reaction among Venezuelans who have fled the country since the rise to power of Hugo Chavez, who died in 2013, and his ally Nicolas Maduro, the current president. In fact, Alicia Reyes was nothing short of ecstatic about the new restrictions. “They’re dogs, rats, the worst in the world,” Ms. Reyes, 53, said of Mr. Maduro and his party. She moved to Weston, in South Florida, from her native Caracas 18 months ago because of the erosion of social order there, which she blamed squarely on the government. Mr. Trump has feuded with the Venezuelan leadership; last month, he alarmed officials in Caracas by talking about a “military option” to quell the chaos in the country. Jorge Arreaza, the Venezuelan foreign minister, lashed out at Mr. Trump in a speech at the United Nations on Monday. Another Venezuelan émigré, Maru Vasquez, 37, who works behind the counter in the Pan Pa’ Ya bakery, said she supported the ban in general terms but was bothered by its inclusion of officials’ relatives. In Los Angeles, the large Iranian diaspora centered on the Westwood neighborhood spent Monday morning puzzling over the ban’s potential impact. It had not yet sunk in with many people that the new decree would block most Iranians not only from emigrating to the United States, but also from visiting; only students and scholars would be allowed in. Many of the more than one million Iranian-Americans have relatives remaining in Iran. They will no longer be able to sponsor them for permanent residence. The new travel ban does not affect the status of anyone who is already in the United States legally, so people like Negi Kharazi who have immigrant visas can still get the green cards they have been waiting for. But now, Ms. Kharazi will not be able to bring Babak, her husband of five years, over from Iran. It was not immediately clear what led to a special carve-out that permits Iranian students, but not most other Iranians, to continue to obtain visas. Iran sends more students to America than the other countries affected by the ban — 12,269 of them in the 2015-16 academic year, according to the Institute of International Education — and many are graduate students in scientific fields who also serve as teaching assistants. Pedram Gharghabi, 31, a doctoral candidate and research assistant in electrical engineering at Mississippi State University, said on Monday that the ban would probably lead to hardships even for exempted students. For citizens in some conflict zones, news of the latest travel ban was met with weary shrugs. Immigrant advocates scrambled on Monday to address questions from their communities. Rama Issa-Ibrahim, executive director of the Arab American Association of New York, said many people who have been petitioning to bring relatives to the United States are confused and anxious now. “We don’t really know how this is going to unfold until Oct. 18, but since January, we’ve seen the chaos that these travel bans, the executive order, has brought to our community and to the country in general,” she said. Yemeni-Americans in Brooklyn have been mobilizing since the executive order announcing the first travel ban was issued in January. But Rabyaah Althaibani, an activist who was involved in a Yemeni bodega strike across the city in February that was a protest of the original ban, said she felt worn down by yet another one. “I feel so helpless and fatigued,” she said on Monday. Ms. Althaibani, 39, has not been able to bring in her Yemeni husband, Basheer Othman, who was a prominent liberal journalist in Yemen. The couple married in January 2016 in India, but they have been living apart ever since, with Mr. Othman waiting in Malaysia to receive a visa.